Voxellab is provided technical implementation and support of the work – revealing of the view – photographer and visual artist Ivan Petrovic. 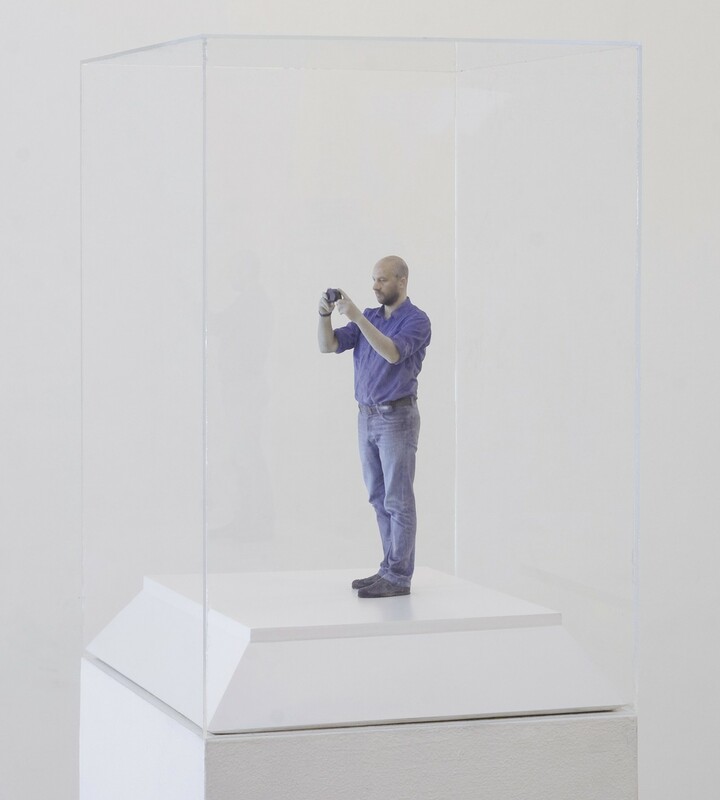 3D scanning and 3D printing available to us are used as the basis for a two-part installation composed of wall projection video recording process of 3D scanning and objects – sculptures made of 3D printing technology. Read a very interesting interpretation of 3D technology through the prism of photos of the author of this work. Revealing of the view – first part presents the video for at 6’51 “resulting recording process 3D scan in a photo studio where I was exposed to, personal use of digital pocket camera for the purpose of my figurine additive in 3D printing. An integral part of the video makes the Piano Concerto No. 21 Andante, Mozart, whose evaluation result of personal intimate relationship with emerging used music track. 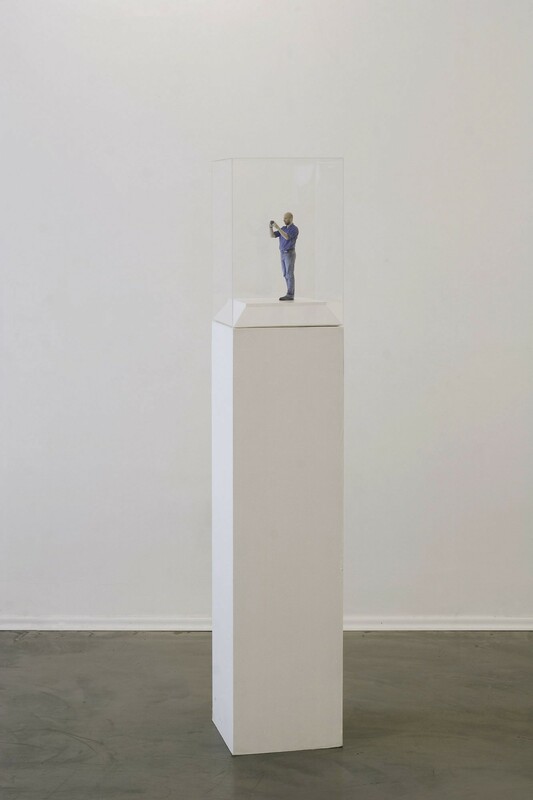 Revealing of the view – second part is a figure made in 3D technology in additive color printing with 3D scan, which measures 20 x 6.5 x 6.2 cm. Arising from a group of works that are the subject of a photographic self-portrait, the work deals with the self observed through the aspect of the photographic craft which belong to professional events and the use of new technological tools in the transposition of the photographic medium, which, with its growing complexity, further problematize the very meaning of the achieved results. His work is a reaction to the change of paradigm in the use of new technologies inherent to current applications in the realization of photographic tasks and new possibilities of understanding the physical visible reality that surrounds us. 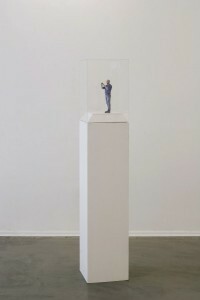 The idea of ​​making sculptures in additive 3D printing software processing of the obtained data process 3D scan of his own body, viewed historically, the era of development of the photographic medium, finds himself in the physical manifestations of that camera operator (photographer) takes the okrežunju that record. The physical manifestation of photographers specifically the manner in which he with the appliance to communicate with the recorded scene – how the transfer will take his views at a time when the recording products. In general, apart from the case of the camera obscura with a simple hole without lens, this view has always had the optical transfer, due to the fact that as a lens optical instrument is an integral part of the photographic apparatus. In today’s environment, the dominant type of images (digital) to mediate over the surface of the screen installed in the machine housing. Look who once passed through the lens, was suspended and replaced by a view that stops and circles on the surface of the display. 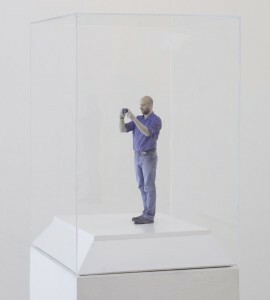 The importance of documenting the process of 3D scanning, video recording, is reflected in the description of the time it was necessary to perform this process (5’57 “) and which may be compared with approximately the same expenditure of time that used to be necessary to create portraits with the beginning of the history of photographic processes.